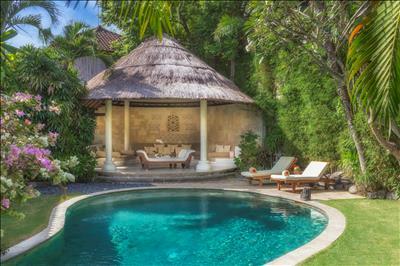 Our nearby sister villa complex 3-bedroom luxury villa has two distinctive structures on either side of the pool comprise this expansive property – the Water Palace and the Rice House. A third suite, sleeping an extra two, can be added using the adjacent, self-contained Floating Annexe. 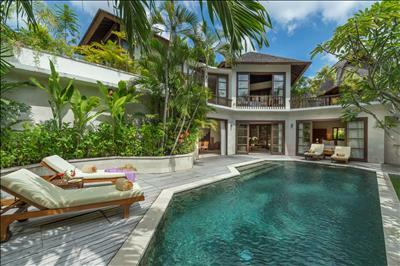 Stretching along one side of the 17 metre free-form pool, The Water Palace features a vast Living Room, a full kitchen and dining area for eight, pool table and Master Suite with expansive bathroom, all either air-conditioned or fan-cooled with floor-to ceiling glass doors, plus a separate guest bathroom. 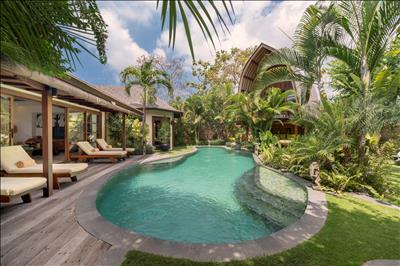 Outside in the vibrant, tropical gardens are four sun loungers, a breakfast nook, a charming pond and large, deep blue pool. Across this is the Rice House, a traditional Balinese Lambing. Downstairs is a huge, shaded daybed area, bathroom with outdoor shower and butler’s kitchen with maxi-bar, while the upstairs Pool Suite can sleep two adults or up to six children on two levels in ship’s cabin style bunks, as well as a deep balcony to catch the sun in a pair of plantation chairs. 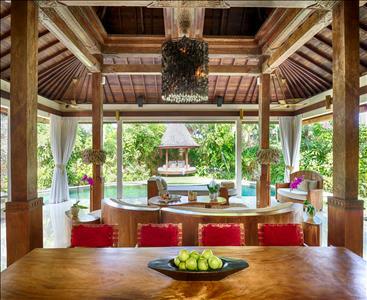 This fully-staffed villa can be rented as the ultimate beachside, one-bedroom romantic retreat, or the perfect two-bedroom solution for one or two couples plus, unusually for Seminyak, up to four extra kids. The staff was very helpful, friendly and offered excellent service. 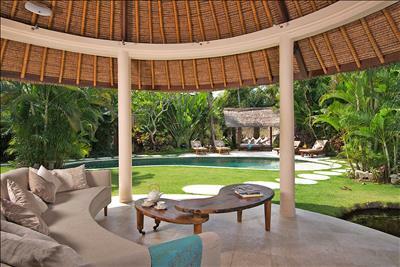 We surely recommend the villa to family and friends and we hope to come back soon. Thank you from LataLiana Villas. Anik & Wayan Awesome! Eka very pleasant and helpful. Security excellent. A fantastic resort - Throughly enjoyed the stay. Lovely staff, very helpful and friendly. Thank you from LataLiana Villas! Many thanks from LataLiana Villas. Staff are the best! 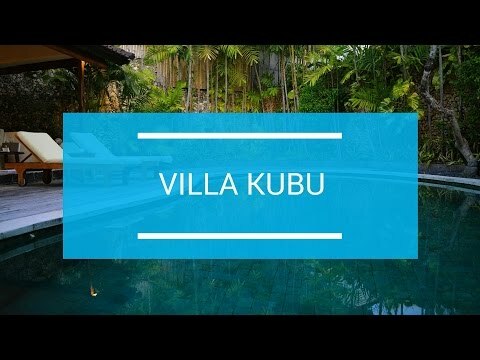 The villa is awesome!! mso-ansi-language:EN-US;mso-fareast-language:EN-US;mso-bidi-language:AR-SA">Amazing staff so courteous, friendly and always helpful. The bed was ever so comfortable and the bath fantastic . A great stay.